We are glad to announce our newest addition joining our catamaran rental fleet in Italy – the new Bali 4.0 sailing catamaran for hire. 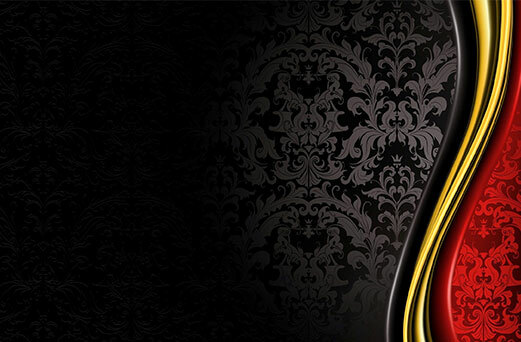 The name affix is lounge and so is the leitmotiv of this Hervé Coudel design with naval architecture of Xavier Fay and conception of Olivier Poncin. Put simply sailing yacht Bali 4.0 for rent in Italy allows to switch easily from cozy to lounge mode thanks to a single open space of cockpit and saloon area which can be accessed by a glass door on electric rams. 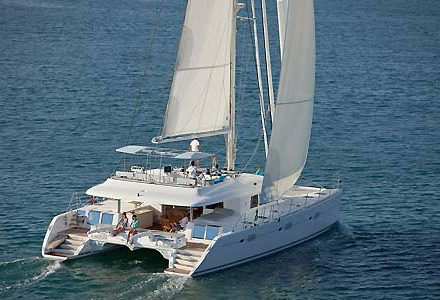 Charter catamaran Bali 4.0 is characterized by its forward cockpit and dining area with ample sunbathing space (sunbeds for 10 guests) instead of a classic trampoline found on other multihulls. Furthermore this new design comes with lots of space on the coachroof in flybridge manner providing even more living space with fantastic panoramic sea views. 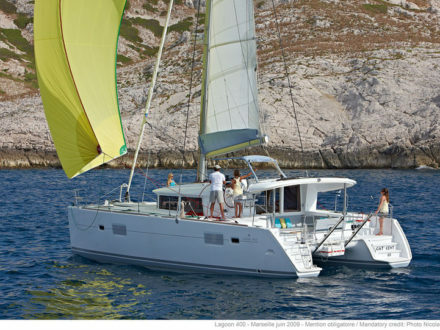 If you think the baby-Bali multihull does not live up to the DNA of its bigger brothers the 4.3 Loft and the Bali 4.5 Open Space, you are wrong. 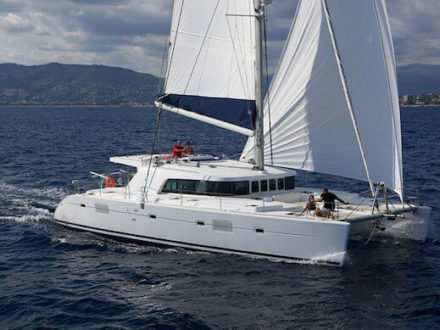 Incarnating all features of the larger catamarans in small, Bali 4.0 for rent in Italy scores with the same amount of natural light flooding the modern light interior. Achieved thanks to well-positioned retractable large windows and hatches, these ensure also ventilation of fresh besides the perfect illumination. Layoutwise 4 double cabins will be ideal for up to 8 guests bareboat charter whereby another 2 guests could be accommodated in the saloon. Please check out the specific layouts as some do feature front bow crew cabins with separate entrances via the deck, ideal to accommodate professional skipper and/or hostess on board. If you are looking for a small and modern multihull offering maximum space comparable to a floating apartment, charter Bali 4.0 in Salerno. 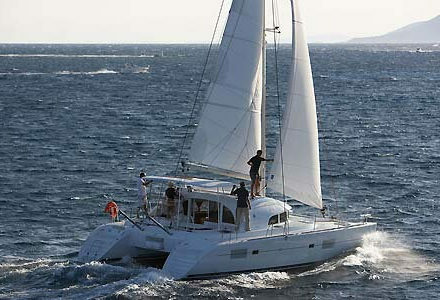 Book now bareboat or with crewed with skipper. Price presented is a maximum price per week in high and low season. Depending on the time of booking various discounts may apply. 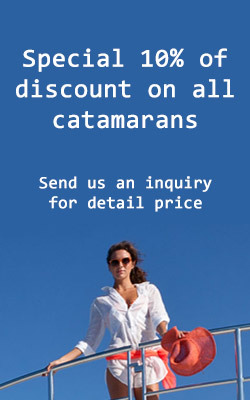 Send us your request and we'll send you current offer/quote.